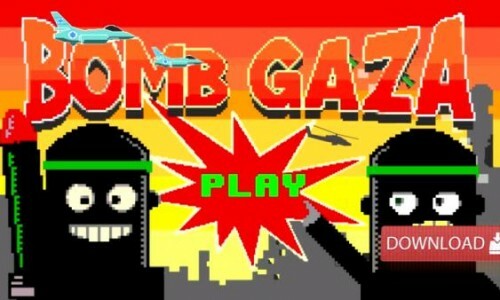 Apparently Google Play has just pulled from its virtual shelves a new hit game – “Bomb Gaza”. 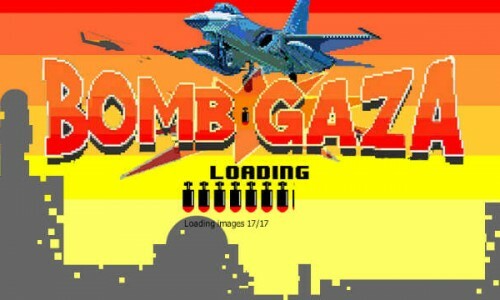 The game – previously available for both iPhone and Android – required the player to bomb military targets in virtual Gaza while avoiding killing civilians wherever possible! It’s hard to think of a game that could dredge the bottom of the bad-taste barrel any more effectively. Not only does it caricature the suffering and death of so many Gazan people but it simultaneously supports the Zionist narrative that allows the blood-letting continue by depicting the assaulting army as a group of concerned humanitarians, only wanting to defend themselves against faceless assailants armed with all sorts of scary weaponry. My feeling is that rather than retire the game, a greater service would be done to the online community if the rules could be re-written so as to make the game more educational by bringing it into greater accordance with reality. For a start, the object of “Bomb Gaza” should be for the assailant to simply destroy everything – combatants, civilians, men, women and children, civilian infrastructure, schools and hospitals, with special bonus points being scored for every mosque or church that’s hit while worshippers are still inside! This would make for satisfying gameplay, I’m sure, even if a little less challenging to begin with. But in the rewritten game, the real challenge would take place at the end of each level where, once the village has been flattened and every creature that had breath has been extinguished, the player would have to convince ‘the boss’ that all civilian deaths were actually unavoidable accidents! These would be high-scoring defences. Less effective defences would include claims that a ‘mistake’ was made or that there was ‘collateral damage’. Appeals to The Holocaust would entail a loss of credibility points. Perhaps this sort of diplomatic work is beyond the scope of the small-screen-game-playing demographic? I don’t know, but when I look at the list of excuses used to justify the murder of so many people in Gaza, one does wonder whether the Israeli propaganda department is run by a 12-year-old child. Having said that, high-level politicians and dignitaries around the world continue to pay homage to the propaganda of the Israeli military machine. It does make you wonder what sort of game they are playing! 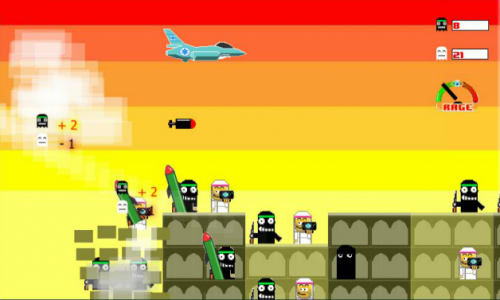 Tags: Bomb Gaza, church, google play, Hamas, village, work. Filed under israel and palestine conflict by Father Dave on Aug 11th, 2014.